Was it an instance of invincibility or childish naivety that a ‘giant cat’ would not hurt one eleven year old boy …? An eleven year old boy has suffered the misfortune of having his hand torn off after stroking a tiger at a Brazilian zoo. The incident is said to have happened after the boy’s father allowed the eleven year old to climb inside a restricted area and stroke the tiger through its cage. Prior to the son being mauled, other zoo visitors had attempted to warn the father that he and his two sons, 11 and 3 were in a prohibited area. 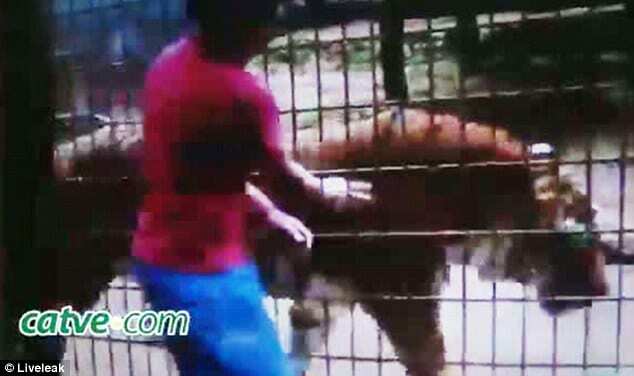 At the time of the mauling, it is believed the eleven year old boy had attempted to pass meat through the bars of the cage in which the tiger lay. 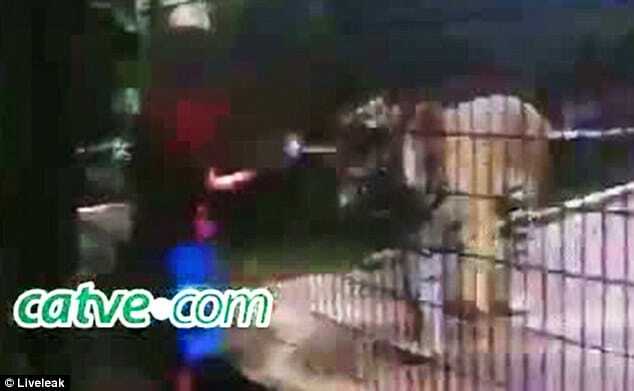 Video uploaded to LiveLeak (see below) shows the victim being lifted back over the security barrier which his father had allowed him to clamber over despite warning signs. Music teacher Ricardo Espindola, who helped the boy’s father while they waited for the ambulance, said: ‘He was giving the tiger pieces of food, meat and stroking it. ‘I finished looking at the animals, left, then heard the screams. ‘I went down and saw the father running with the boy with his arm hanging. I called the ambulance. Several visitors tried to alert the father that he was in a prohibited area. Espindula would reiterate that he feared something might happen, recorded footage of the boy with the tiger moments before the attack on his mobile phone. 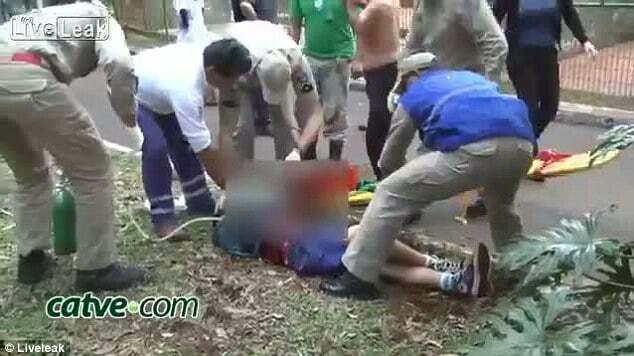 Subsequent to the mauling, the boy was treated by paramedics at the scene before being taken to hospital, where it is understood doctors partially amputated his arm. Brazil’s globo would also tell that he child’s father would be arrested and taken to the police station for questioning. After talking with the police, the man was released. According to zookeepers, the tiger, called Hu, is ‘one of the sweetest’ at the zoo. 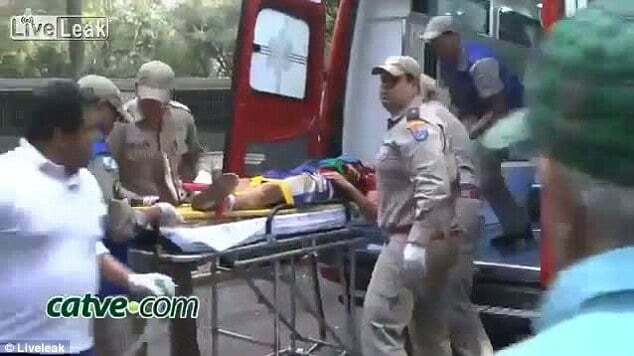 At present Cascavel Zoo, the zoo in which the incident took place has declined to tell if the tiger will suffer ramifications, only to reiterate that the tiger is normally a docile animal, and must have been stressed with the movement of the child in the cage.